A scones recipe is just what I need to spruce up my fall meals. I feel like I make the same dinners all of the time, so I needed a little side to bring back the spark a bit. Yes, cheesy bread is where the magic is. We are all about the comfort food in the fall. When the hubby walks into cheddar and chive scones baking in the oven, he’s a happy man. Post contains affiliate links. 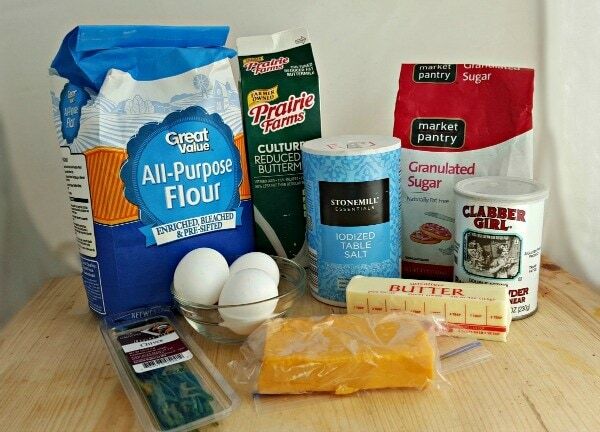 Cut the butter into the flour with a pastry cutter or food processor. Turn the sticky dough out onto a well-floured board and knead lightly. Cut dough in half. Roll each half into a circle (approximately ¾ inch thick). Cut each circle into four wedges. Place on a greased baking sheet. These look delicious!! I love scones but have never tried to make them. This recipe doesn’t look too hard so I’ll have to get the courage to try it!! Thanks for sharing! I’ve never made scones before either. I really like the flavors in these. Cheese & chives is yummy. This looks absolutely delicious! I have never made scones before. I get them when I go to the coffee shop but that is about it. Might have to give this recipe a try though. These look good and better yet esy. 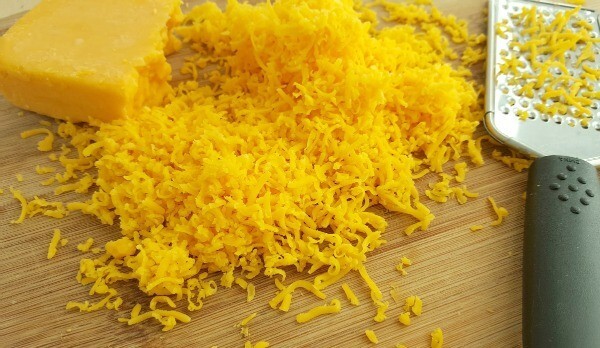 I LOVE easy and anything wiith cheddar cheese! Yum! 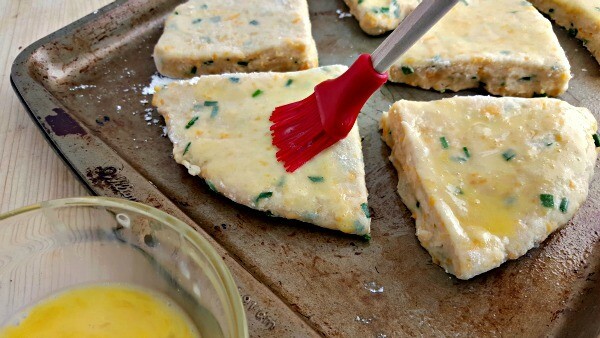 This looks delicious, I’d love to try it as is and then I would like to try a cheddar and artichoke scone. Thank you for sharing this recipe. These look delicious! I’m not sure I’ve ever eaten a scone before, but if they look this good, I’ve been missing out! Thanks for linking up to Merry Monday! I’ve shared your post! Cheesy baked goods are always wonderful! I’m seeing these scones, and wondering why I haven’t made any in a while. 🙂 I got some really yummy cheddar recently too! 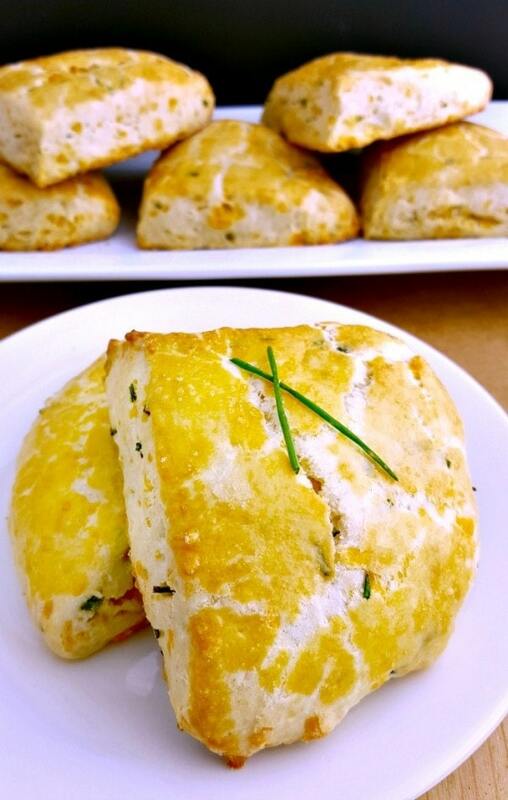 I love savory scones! Thanks for linking up with What’s Cookin’ Wednesday! These look truely delicious!! One of my favorites from the idea bpx link party!